Point people in the direction of warm wishes and happy holiday greetings when you advertise your Christmas party in advance with Paper Tree Posters. These Posters feature an elaborate green background design on top, with a sweet little handmade paper Christmas tree on the bottom. 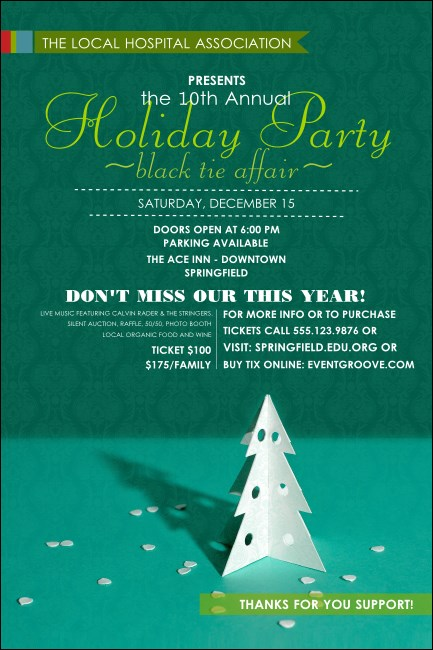 Put the finishing touches on your holiday party promotions with TicketPrinting.com.